English lawyers have long had an edge over their US and continental colleagues. English law was established early as the law of trade, business and increasingly projects – a throwback to the days of the Empire. This was a major driver of growth for UK-based firms in recent decades, but it is well known that New York law has become a rival to English law, especially in banking and finance, as corporates tap into the deep US debt markets. UK law firm RPC has agreed a tie-up with Singapore firm Premier Law as it seeks out claims against the major banks. The joint venture is to go live on 1 May this year. Joining the spate of firms to bolster their offering in Singapore in recent months, Nabarro has today (30 April) announced the appointment of senior disputes partner Steven Lim, the founder and managing director of Clyde & Co’s joint venture partner Clasis, to head its Singapore office. This summer saw continued interest by advisers in the Asian legal market, as top-50 US firm Dechert finally received the green light to open an office in Singapore eight months after applying for a Foreign Legal Practice licence. Meanwhile, Big Four accountancy giant PwC made a move to enhance its legal offering in the Asia-Pacific region, having entered into a tie-up in Singapore with local firm Camford Law. Following a string of international lateral hires over recent months, Clyde & Co continues to bolster its team in the Middle East with Herbert Smith Freehills (HSF) Islamic finance specialist Adil Hussain joining the firm. Eight months after applying for a Foreign Legal Practice licence to open in Singapore, US law firm Dechert has been given the nod to launch its fourth Asian office. 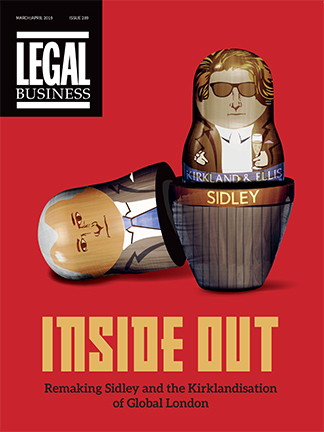 Back in the boom years, international law firms talked confidently regarding how liberalisation would soon be coming to major legal markets in the Asia Pacific region. This week provides another reminder that in reality such emerging jurisdictions have been rather more tactical – and protectionist – than starry-eyed managing partners believed back in the go-go days. The incident in question has seen Clifford Chance (CC) publicly criticised by the Singapore justice minister for having the temerity to announce that it was offering litigation services via a formal association set up last year with the boutique Cavenagh Law. King & Spalding has recruited King & Wood Mallesons Melbourne co-head of arbitration Peter Megens as a partner in its Singapore office. Megens, a senior construction partner, is King & Spalding’s third Singapore lateral hire in under a year. Clifford Chance oil and gas partner Merrick White joined the firm in October of last year, shortly followed by project finance partner Kelly Malone from Norwegian firm Wikborg Rein in December.Malone was previously head of his firm’s global projects team. Keystone Law Corporation, a boutique law firm in Singapore specialising in TMT, where he was founding partner and director.